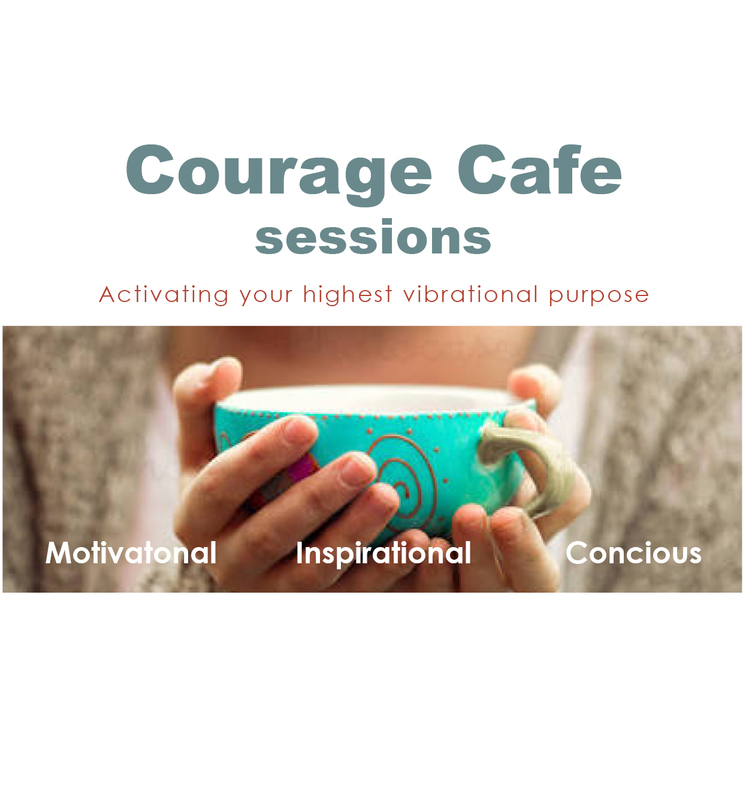 What are the Courage Cafe Sessions? Vibrational Soul Alignment Activation sessions help you to gain access to, and bring you closer, to your full energetic potential and your unique purpose for being here on earth. A session can bring you more into alignment with your higher soul’s wishes for this lifetimes learning. Michele’s abilities lie in activating, expanding and opening a freer flow of energy to raise your vibration for furthering your knowledge and enhancing your understanding of the Spirit realm – in effect she is a ‘transmitter’ a ‘Bringer of Light’, activating and allowing the new more positive energy (higher vibration) to replace the older, stagnant ‘baggage’ we all hold from this life and previous lifetimes. This process opens channels for more flow, joy and conscious expansion, reigniting our connection with our higher self and soul’s purpose. The purpose of a session is to activate, realign, re-affirm and reconnect you to your higher self on an expanded level. Giving you a clearer understanding and connection – for you to live more in alignment with your universal purpose and so bringing more JOY and happiness into your life. It is usual to experience downloads and shifts during and after a session. You will feel lighter and brighter with a more positive outlook. These sessions are held in my lovely light and colour filled ART studio in Paremata which is filled with healing vibrational artworks. Sessions range from NZ$85 to NZ$200 for a 2 hour full session – EFT Pos is available in the studio. HOW an Energy session WORKS: This is a powerful healing energy that reaches well beyond superficial emotional issues to release the energetic charge attached to emotional wounds. Your energetic charge is what sometimes locks you into life-long repetitive and self-destructive behaviors. These retained memories and feelings sometimes limit how we all experience the world, how we respond to it, and even whether we can hear the voice of our own soul when it tries to speak to us. As a result, we often compromise the essence of who we are in order to fit in, be loved, and please those around us. Trust and being open is a huge part of the healing process. In allowing the new energy to effectively replace the old, we are then free to experience our unlimited potential and unlock our truth within us, while also being able to allow the negative to be released and allowed to flow. By setting your intention and then working on allowing the NEW assisted energy to be activated and to flow through you, you can effectively move yourself into a more positive energetic vibration. This in turn helps you to find your soul’s truth and true expression, bringing more joy and happiness into your life. By working on raising your vibration, it helps you to be more resistant to negative thoughts and energies or to at least, bounce back quicker. When we follow our true path we live in a more blissful, joyful, graceful and grateful state and develop a deeper understanding of our lifes’ path and souls intention. I can help you with this process (we all have work to do – but we are the only ones who can do this work) by effectively kickstarting your system network with a high vibration energy clearing, boosting, activating and opening to allow more free flow of energy. The Soul Vibration artwork that you do with me is another tool to practice meditation with and will carry on working on your vibration everytime you absorb, see and meditate with it.